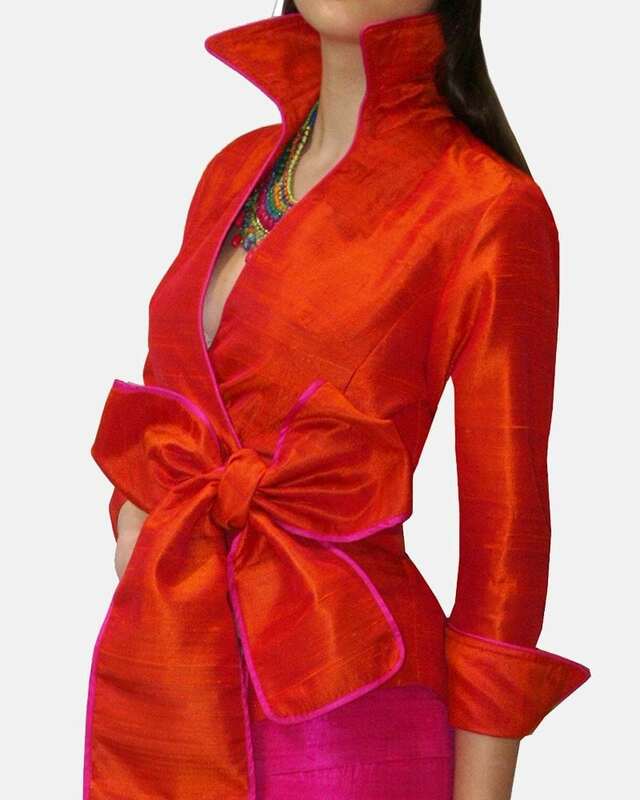 This elegant silk wrap blouse with an attached sash is made with a slubby orange silk, shot with pink undertones. The sash, collar and cuffs are edged in pink and the turn back cuffs have cuff link button detail. 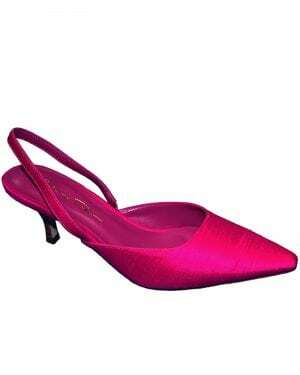 Fully lined in pink satin. Wear the collar up or down and tie the sash in a way that suits you best.